After the Alexander McQueen show, I stayed one more day in New York. I had never visited the Fashion Institute of Technology, so I did. Their museum was featuring a sportswear show called ‘Sporting Life.’ The first piece on the left at the entrance of the exhibit was my favorite. Fashions always came late to Korea, and I remember wearing those balloon pants in gym class. 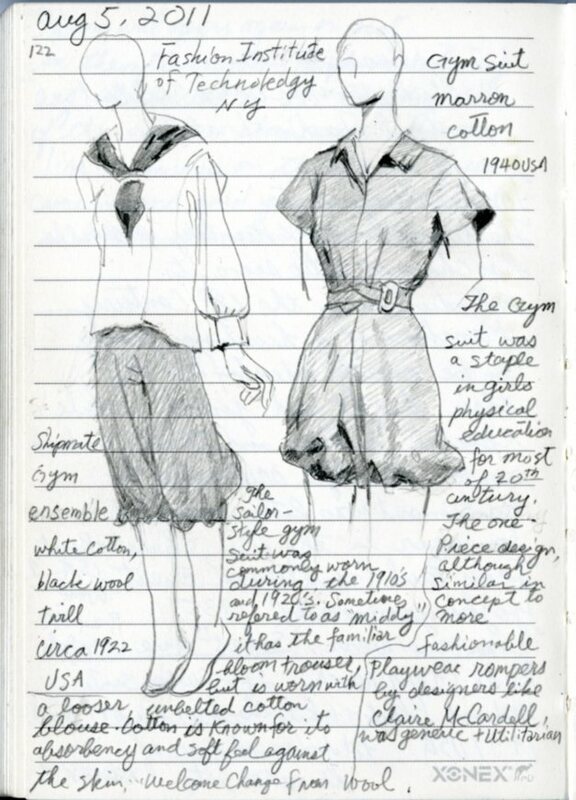 They were a short version like the sketch on the right but with a white shirt without a sailor collar or ties … a faint memory of the old days. You are currently reading Sportswear Exhibition at Woven-Words.